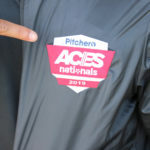 Pitchero ACES Nationals is fast approaching and we’ve got plenty of tips to prepare you for the big day. Tournament football is an experience all of its own. It’s rapid, intense and full on. With Pitchero ACES Nationals, you’ll be playing new teams from across the country and whichever Group you’re in, there’ll be a minimum of four matches to power through and more if you reach the knockouts. The beauty of a one-off tournament is that while all the teams competing have credentials as they’ve won league titles or cups, no-one starts at a disadvantage. Whether it’s the ACES Nationals or the World Cup in Russia, everyone begins with a clean slate and the chance to win. For hundreds of coaches, parents and players coming to Nottingham, travel logistics will be on everybody’s minds so make sure parents have all the details of how to get there, parking info along with when and where to meet up. Directions, maps and a list of what players need to bring will remove some of the pre-tournament worries. Such is the fickle UK weather that it might be a soggy mud bath or thirsty work in the sun (as it was for our 2017 competition) but keep an eye on the forecast – it could affect your tactics or selection. It’s been a fun and long junior football season but the opportunity to be national age-group champions representing your town or city is the final push. Hopefully there’s been chance to shake off any injuries after your domestic season and your squad can take the form that got you to Nottingham onto the pitch. Here’s some coaching sessions that might be of use specifically ahead of a tournament with games and ways to freshen up training. In those last few days before the tournament starts, rest up, run over gameplans and double-check your star striker isn’t booked on a family holiday from mid-June! If all the prep is done, the kit is ready and your superstars have got themselves to Nottingham’s Riverside Sports Complex (the night before or on the day) then everyone can focus on the football. From international footballers to juniors, the night before a big game brings with it nerves and excitement. No late nights or wild parties, there’s a winner’s medal with your name on it but it won’t come easy. Recover between games – and do some scouting! There’s plenty going on during each of the three weekends with U9/U10/U13 and U14 boys games on 16th-17th June, U11/U12, U15 & U16 boys on 23-24th June then the U12 to U17 Girls matches on the final weekend of 30th June to 1st July. Assess how everyone is after the last match, conserve your squad’s energy for the next game and go through any tactical changes. It’s also a chance to watch other teams and you might be able to pick up some valuable pointers on the opposition and how they play. Stretch, hydrate and be ready to go again. Support each other and use the bonds in the squad that has got you this far even if things don’t go to plan when you lace up your boots. Good luck to the set of teams playing on the first weekend, it’s going to be another fantastic tournament of junior football. For more tips on development and preparation, check out the ‘9 key ingredients to building a winning mentality’ on the Pitchero blog.